Michael Dubruiel: How Do We Deal With Tragedy? I've been thinking a lot about how the constant images of suffering and devastation challenge the common world view of most Americans...and unfortunately most Christians who have forgotten how the Gospel presents the Good News of Christ...aptly summarized in Archbishop Bruno Forte's statement "Life is either a pilgrimage or a foretaste of death." 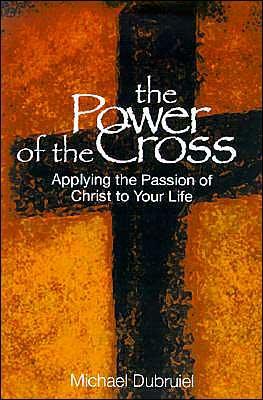 I'm also struck by a letter that I received by a group of women in Hurricane stricken Florida last Fall after they had completed a group study of The Power of the Cross: Applying the Passion of Christ to Your Life . The leader of the group wrote to me, "We've missed out on this key element of the Gospel that helps us to understand where God is in the midst of horrific events." The natural disaster that has stricken the Gulf Coast reminds us again that this life can bring many crosses which we either curse because we see nothing beyond or contemplate with Faith because of our belief in Christ. "...this life can bring many crosses which we either curse because we see nothing beyond or contemplate with Faith because of our belief in Christ."